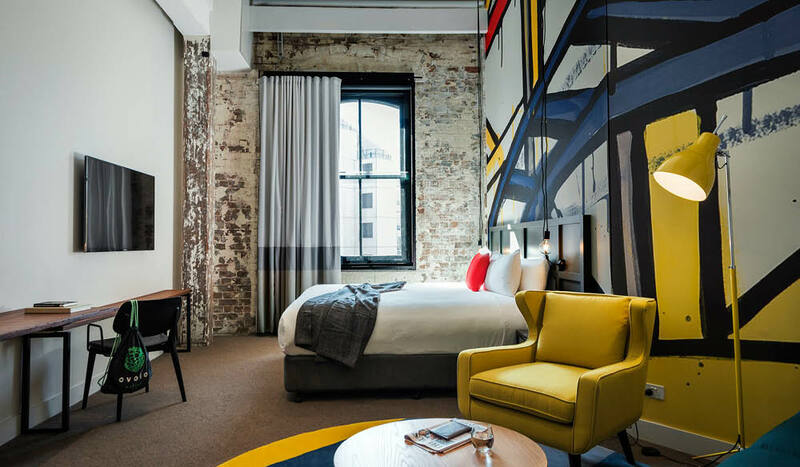 The Chapel hotel with its industrial-chic vibe, exposed brick, concrete floors and steel fixtures, will leave you with a feeling of a funky family home of old. High style doesn’t always have to come with an exorbitant price tag. These hotels are all big on luxe but small in spend. The challenge to make your travel dollars stretch as far as possible can seem like a lot of hard work, trawling through endless websites comparing prices to save a few dollars at a time. And after all that effort, who wants to end up in a drab box devoid of personality just because it’s cheap? But there is hope; set with the challenge of finding high-style rooms around the country for a budget-friendly $250 per night*, we were spoilt for choice. Thanks to its position in the heart of Melbourne and the reputation of its rock star restaurant, Circa, The Prince is still one of the cool kids despite being one of the oldest hotels. The Prince was one of the original boutique hotels in the city, and it still has a cool-kid vibe thanks to its minimalist interiors, its position in the heart of St Kilda and the reputation of its rock star eatery, Circa (now a private dining and events space). 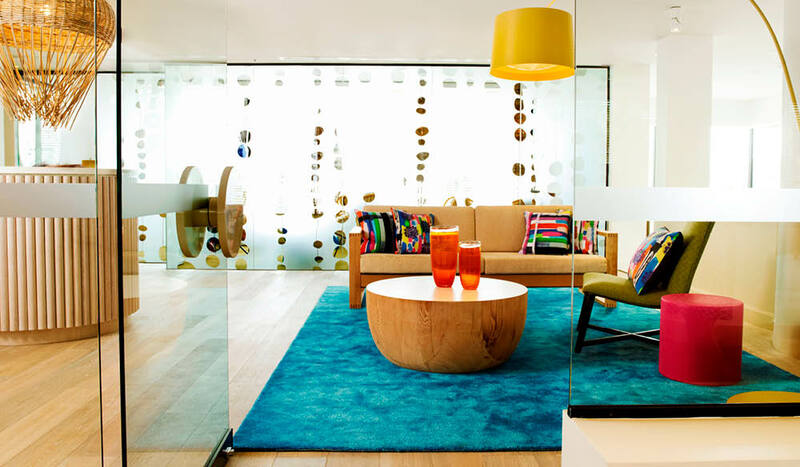 In the rooms you will find clean lines cosied up with colourful kilim rugs and layered textures, as well as Philippe Starck bathtubs in some bathrooms, plus cute private balconies. Special rates start at a tiny $195 per night. industrial-chic vibe, exposed brick, concrete floors and steel fixtures, will leave you with a feeling of a funky family home of old. 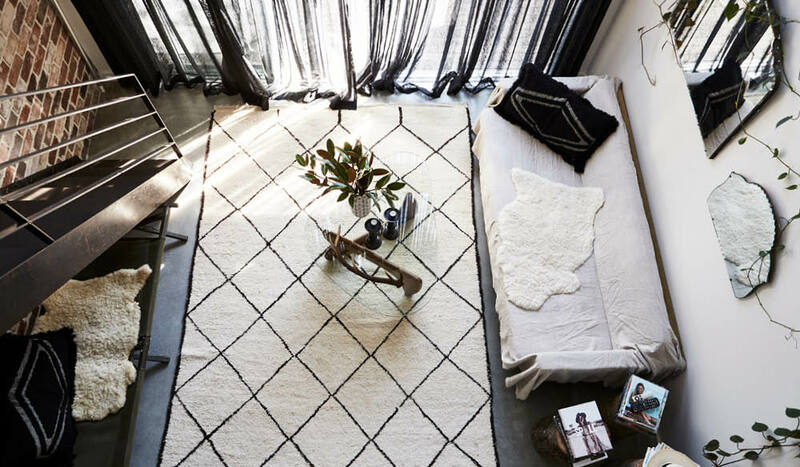 The Chapel, part of the family-run Byron Beach Abodes’ roster of boho residences, is beach-adjacent but possesses an industrial-chic vibe, with its exposed bricks, concrete floors, steel fixtures and texture-heavy monochrome décor. Only a few minutes’ walk from sand and surf, and with Byron’s endless selection of cafes and eateries nearby, the whole place has the feeling of a funky holiday home of old. And all from $231 a night. The Hotel Palisade Sydney has received a full makeover from the super stylist Sibella Court (photo: Nikki To). 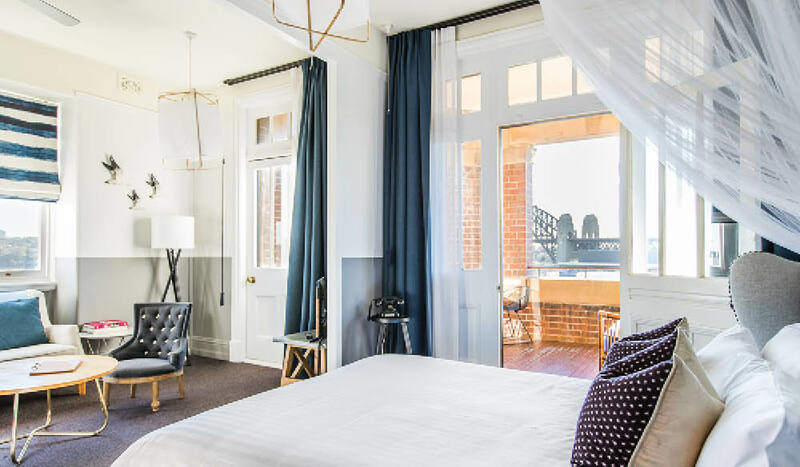 Sitting high on a hill in the historic Rocks neighbourhood, the landmark Hotel Palisade received a full-treatment makeover from hands-on super stylist Sibella Court, resulting in each of the eight rooms possessing an irresistible eclectic style. Rooms are named after colourful characters who frequented the area in times gone by, with gorgeous hand-painted seascape wall murals by artist Neil Mallard, an elegant colour palette throughout, and some pretty fabulous Harbour Bridge views from select rooms. Priced from $225. 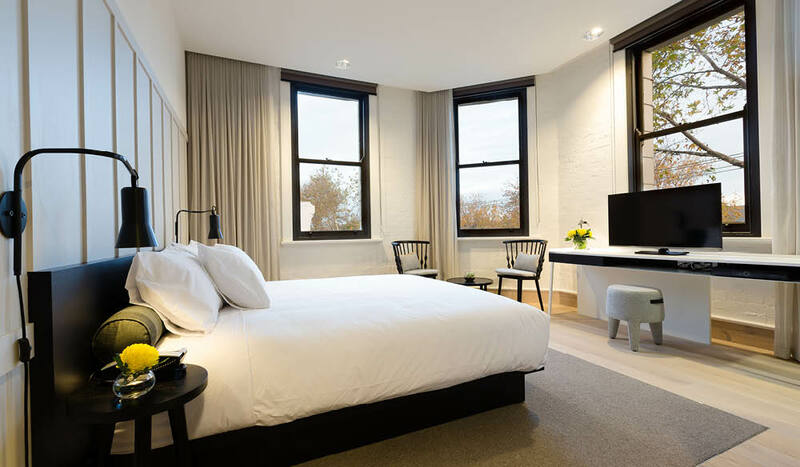 Small but stylish, what the Franklin Boutique Hotel lacks in size makes up for in personality. There are only seven rooms in this snug boutique hotel in Adelaide’s inner-city grid, but what the property lacks in size it more than makes up for in personality. 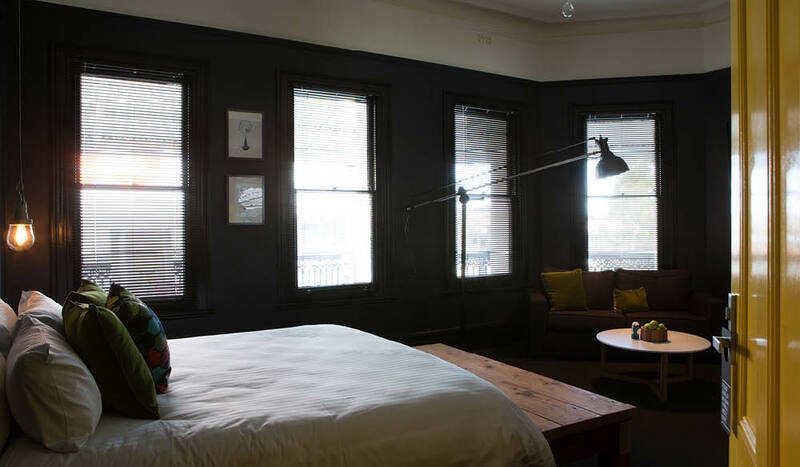 The Franklin Hotel’s rooms are individually decorated in soothing, darks shades, with colour introduced through original artworks by local artists, over-stuffed cushions, bright yellow doors or elegant leadlight windows original to the building. There’s pub grub on offer in the downstairs bar, complete with a beer garden with a Hills Hoist festooned with hanging planters and a light fitting constructed from vintage Coca Cola crates. Deluxe rooms start at $160 and Superiors at $220. Ovolo 1888 Darling Harbour has room categories from the cheeky Shoe Box to the generously proportioned Shaken and Stirred suites. Squeezed into an historic wool store (dating from 1888, of course) in a busy, bustling part of the city, Ovolo 1888 Darling Harbour has room categories from the cheeky Shoe Box to the generously proportioned Shaken and Stirred suites, each dominated by one of artist Jasper Knight’s bold, graphic murals. 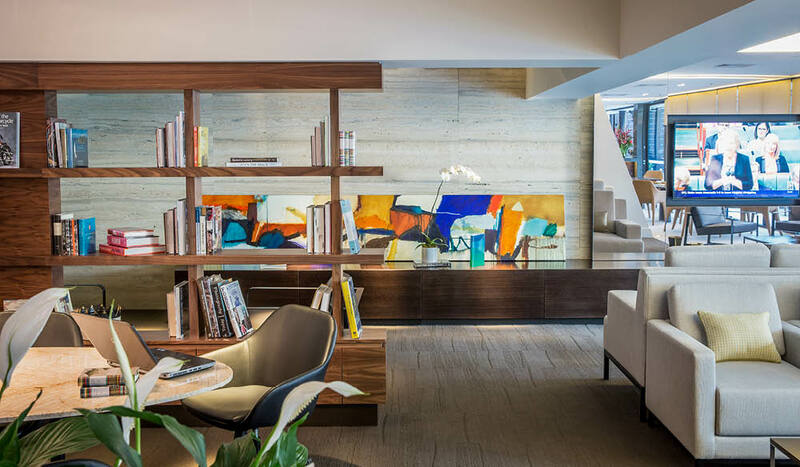 The brand’s signature Lo Lounge offers up a schmoozy space that is at guests’ disposal to grab a coffee, do some work or relax. Rooms can be had for under $200, which includes breakfast and free mini bar. The rehabilitation and rejuvenation of the Gold Coast as a holiday destination comes with the arrival of the QT Gold Coast. The rehabilitation of the Gold Coast as a holiday destination worth seeking out was complete with the arrival of QT Gold Coast. Boasting a ‘nostalgic surfer chic meets Miami catwalk cool’ vibe, the décor in each of the 297 rooms is light and white, interspersed with playful punches of citrus brights and island florals. And while you’re in residence it is a must to have at least one drink at Stingray, which has become quite the bar to be seen in on this flashy stretch of coastline. QT Kings start at $225. The Coppersmith Hotel lends itself to living like a local complete with a rooftop retreat, bistro serving up local produce and a vibey bar, whats not to love. The architecturally designed Coppersmith lends itself to living like a local, with its inner-city South Melbourne locale and intimate surrounds complete with a vibey bar, bistro serving up local produce and a rooftop retreat that is the place to be come sunset on a warm summer’s evening. Each of the rooms is individually decorated, with pieces from the likes of Ross Gardam and Oak & Elm and lots of soothing white contrasted with generous helpings of black. Ask about customising your mini bar when you are booking. Queen rooms start at $230. 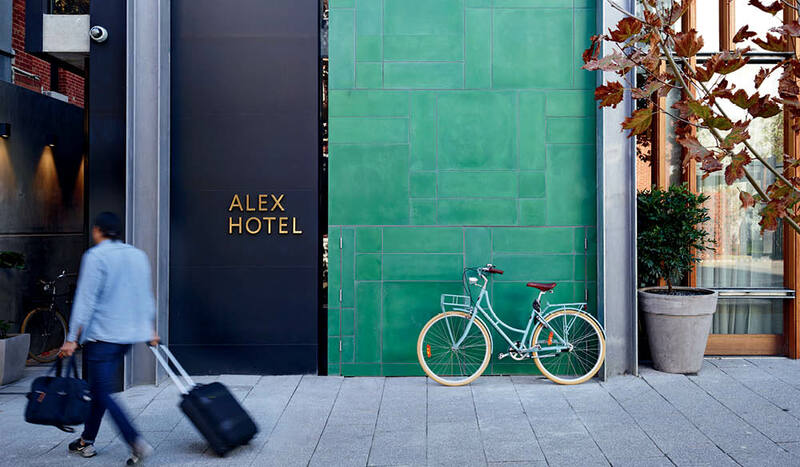 Simple yet stylish, the Alex Hotel has rooms for just about every size group and more (photo: Anson Smart). This funky offering, along with the slightly more grand COMO The Treasury, have led the charge in bolstering the ranks of stylish Perth hotel offerings of late. Alex Hotel‘s rooms, which are categorised as small, medium, large and x large (along with bunk and family) are simple yet stylish with calm interiors complete with punches of colour and quirky retro fittings. The small is a standard rate of $190, which includes Italian linens, free movies, Sodashi toiletries and breakfast; you also have access to the hotel’s Living Spaces, including the lovely Mezzanine Lounge. 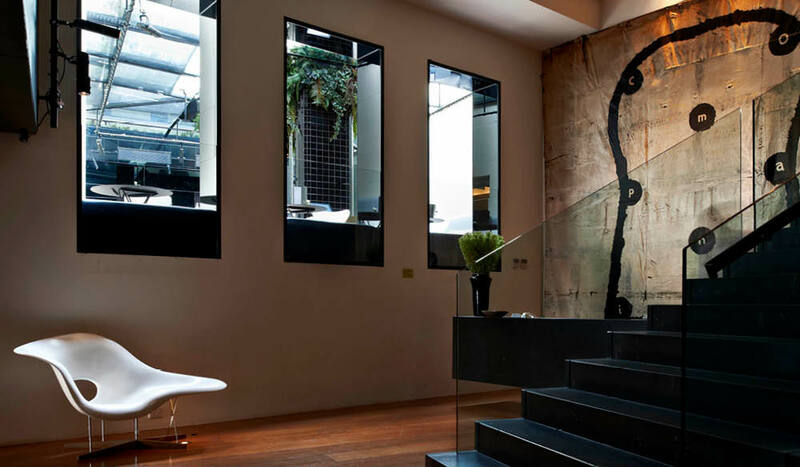 This tech savvy hotel will leave you wondering what else that could cram into the Next Hotel. As the name implies this burgeoning brand takes hotels to the next level, with ample techy inclusions, including in-room Samsung Smart devices to make calls and access wi-fi wherever you are; an app to control the lights, temperature, Smart TV, door locks and room service; and GHD hair straighteners upon request. And when you check out, you have access to Next hotel’s clever Transit Zone, complete with state-of-the-art sleep pods that are worth booking a late flight home just so you can try them out. Priced from a very modest $159 a night.